This piece I made when I wanted to be outside, and not frustrated or worried in the studio. 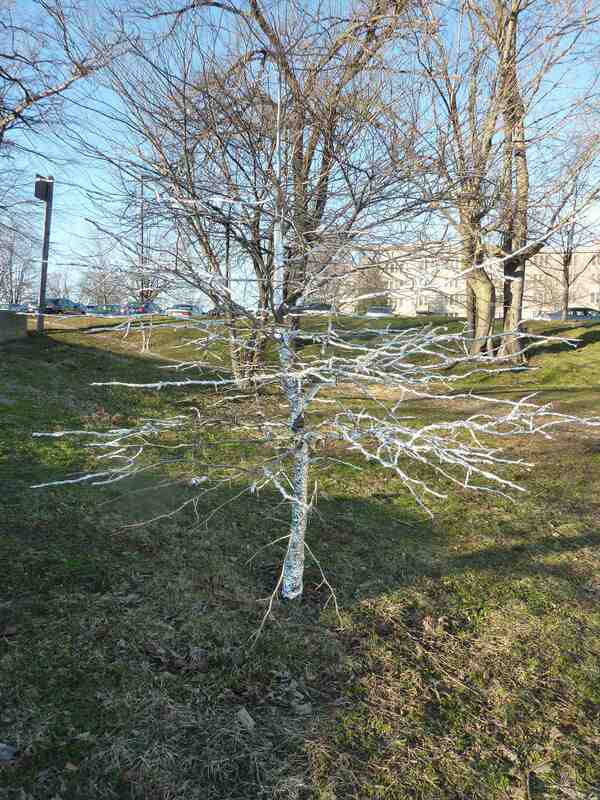 I would wrap/attend to/bond with/suffocate this living tree with aluminum foil for an hour or so each day for a month. After I returned from holidays in Melbourne I collected about 5 tiny pieces from the base of the tree, the rest having blown away. At the time I remember feeling disoriented and landlocked by a new and small town and by the winter snow.